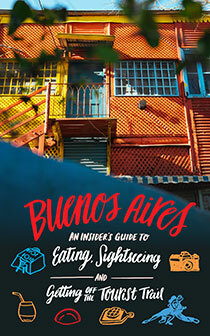 Sign up for the Gringo in Bueno Aires Newsletter! The plan will be to release a new newsletter once a week. I have subscribed to many email lists in the past and I have found myself unsubscribing to more than I have followed. Usually this was due to newsletters invading my inbox every single day with pointless information. My goal is to make this newsletter something that you will look forward to every week and to provide you with information that is actually useful. The goal of the Gringo in Buenos Aires Newsletter is to provide you with a weekly dose of Buenos Aires news, tips, events, restaurant deals and specials and much more. 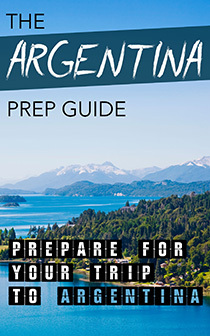 The Gringo in Buenos Aires newsletter will keep you up to date with what is going on in Buenos Aires, tips and insights into making your life or vacation here much more enjoyable and basically anything I find that will be worthwhile for other Gringos/Gringas in Buenos Aires. News: A round up of Buenos Aires news that has happened over the past week. Events: A round up of cool events that are happening in Buenos Aires in the upcoming week. Concerts, Clubs, Peñas, Milongas, theatre, etc. Deals: A round up of Restaurant, Bar and Club specials and deals for the week. Recommendation: A weekly recommendation of a great restaurant, bar, club or really anything that you might enjoy in Buenos Aires. Much More! : Any other useful information I have for you, whether it by a great Spanish tutor to try out or a great Estancia to visit over the weekend, I will keep you informed. I hate spam just as much as the next person, so I will never share your email with anybody else. If you end up thinking the newsletter is mierda, there is an easy unsubscribe link at the bottom of each letter! So with that said, give it a try! After a couple weeks I will welcome your feedback with any suggestions you have for the newsletter, so shoot me a message!